Ask many students how they feel about close reading informational text, and they’ll tell you it’s a bore. Informational text is full of just that, information. Without a fun story or interesting characters, some view it as a one-way ticket to Snoozeville. Throw in close reading strategies, and you’ve entered the Humdrum House. But it doesn’t have to be that way. Well chosen informational text will be interesting and engaging. Close reading activities can help your students further understand the content without being tedious. 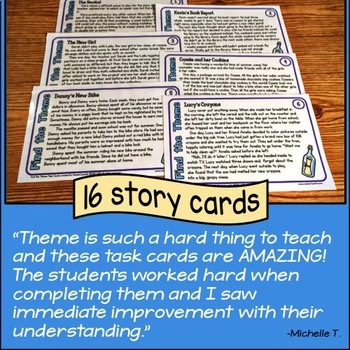 Keep reading for ideas on close reading activities to your students engaged and entertained. When deciding which close reading strategy to use with your students, keep the length of the text in mind. Short text or passages from longer books can be completed using the traditional three read process outlined in this freebie. Click here to grab your copy to use for reference. It’s helpful to provide this anchor chart to your students or to have it posted in the classroom. 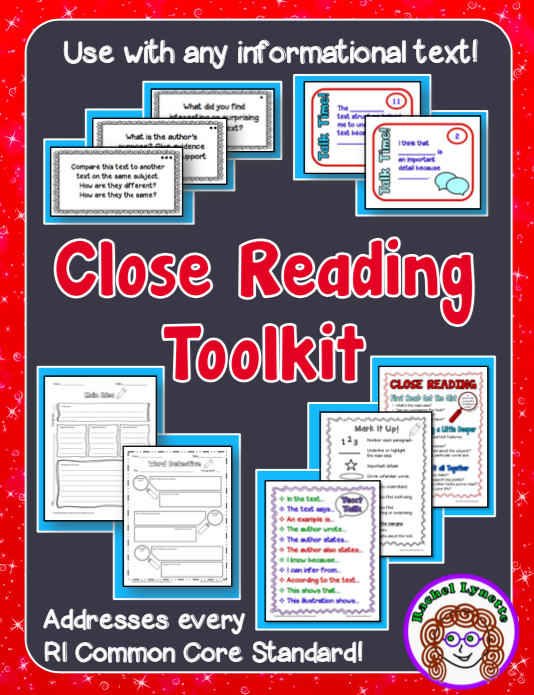 This resource is also included in the Close Reading Toolkit for Informational Text along with six other posters/anchor charts to reference when completing close reading activities. When reading a longer text, you can pull out passages and complete the three read process, or use other close reading strategies. 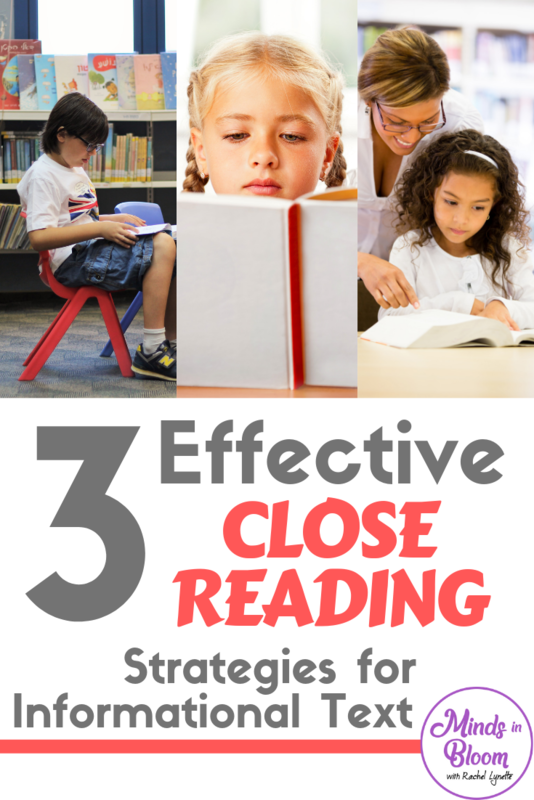 Keep reading to learn ways to implement close reading with longer text successfully. Meaningful discussions are the foundation of close reading activities. All questions, however, are not created equally. 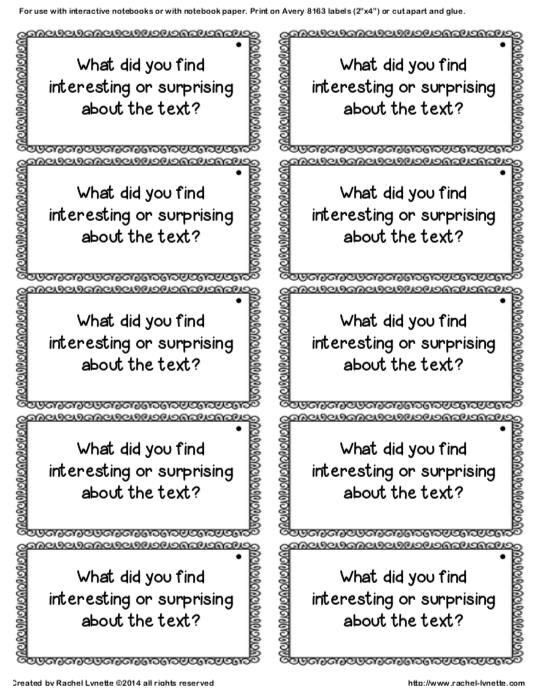 Questions should surround topics that students must refer to the text to answer. Remember, the purpose is for students to pay attention to details and develop a deeper understanding of the text. The Structure Will Vary: Working collaboratively to answer these questions is ideal, whether in a whole group, with a partner or in small groups. It is amazing how lively and insightful a discussion can become as students interact with each other and the text. You can decide based on your class how to divide your students best. Let their level of independence and understanding of the process be your guide. If your students are not comfortable with close reading, you can complete these discussion questions as a whole group. With more practice, they will be able to have independent conversations. 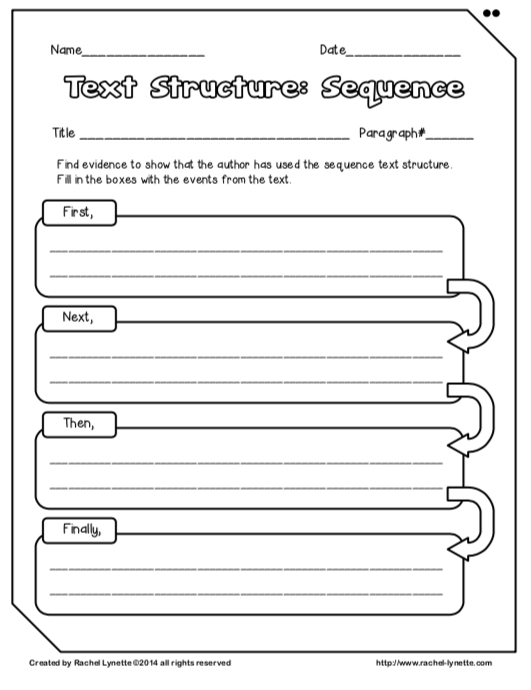 Choosing The Text: Since the passages are longer for this strategy, you can select the parts of the text to discuss, or you can allow your students to choose. The ultimate goal would be to provide your students with the autonomy to make decisions about the discussion. In the beginning, as students are getting comfortable with close reading activities, you might want to choose the passages, and as they get better with the process, allow them to select their passage. Be sure to have students explain why they select a given passage. You might also consider assigning jobs within the groups, and one role could be choosing the passage to discuss. Differentiated Questions: Be sure to ask the right question at the right time. The Close Reading Toolkit For Informational Text organizes the discussion questions by color based on if they would be most appropriate for a first read, second read, third read, or at any time. While the questions are meaningful at any point, the question levels indicate the anticipated depth of the discussion. 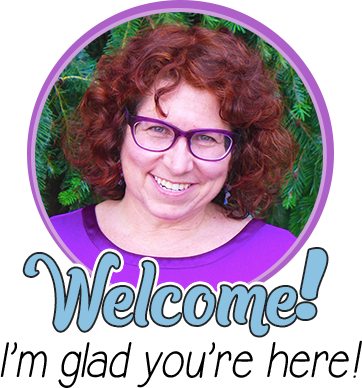 With this coded color system, you can easily differentiate for your groups based on those that are ready for in-depth conversations and those that need to stay at the surface level of the text for now. 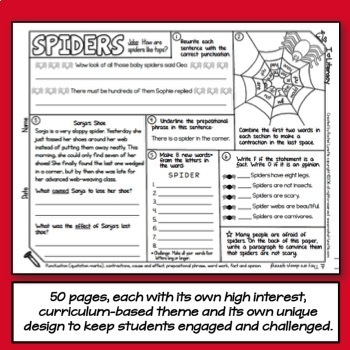 Using graphic organizers and printables allows you to explore various aspects of the text including making connections, comparing and contrasting, making inferences, exploring text features, and more. When selecting materials, keep your busy-work sensor on high alert. Everything you give to your students should help them to dig deeper and further understand the text – and in doing so, learn strategies for understanding all texts. Keep Thoughts Organized: Using graphic organizers gives students the opportunity to organize the information they’re learning on paper often allows them to develop a better understanding of the facts and keep track of them easily. Some students really benefit from seeing things laid out in this fashion. This can also be a good way to check to make sure students are really understanding the passage and not missing something important. Choose a Focus Skill: Perhaps you are focusing on a specific skill such as summarizing, predicting, or using context clues. Using the right printable is a great way to hone in on that skill. Choose activities that are best for your students based on their current comprehension ability level and the targeted skill. 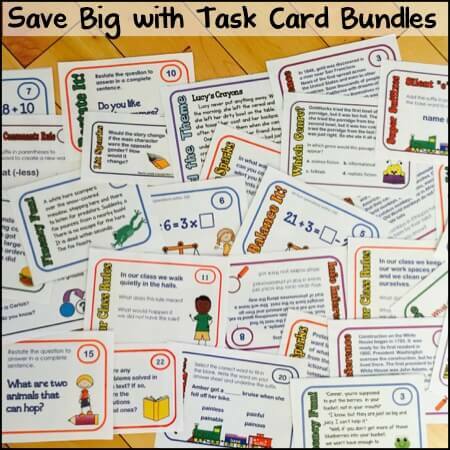 You can find a wide variety of ready to use printable and graphic organizers in the toolkit. Resource for Discussion Questions: Graphic organizers can be used as a great pre-writing activity for an in-depth text-dependent question. 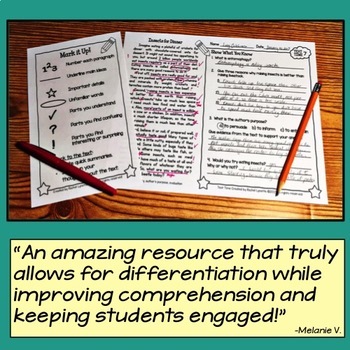 When students take the time to organize their information on paper, they can refer to it as needed when answering longer-format questions or while discussing the passage. 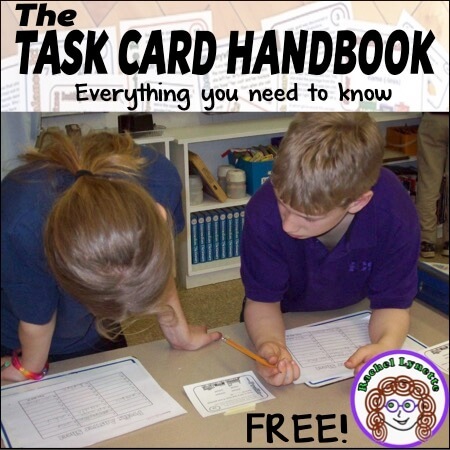 The graphic organizer provides them with an additional resource beyond the text. Giving students the opportunity to provide a written response to the text is another close reading strategy that can improve overall comprehension by digging deeper at any stage of reading. 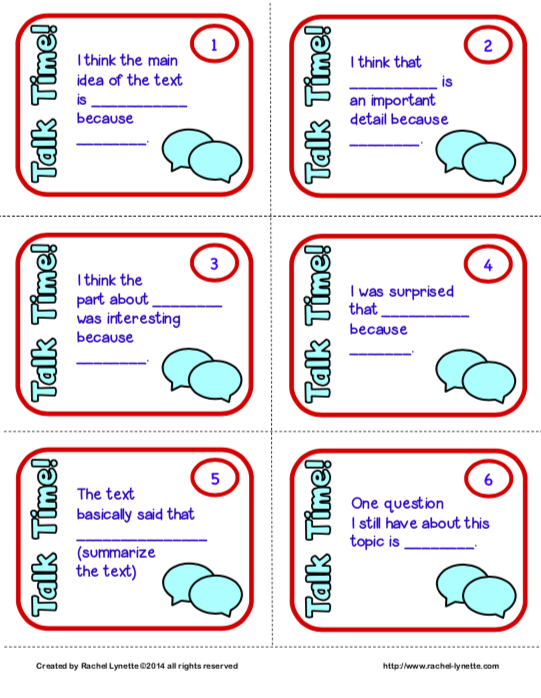 You can use the text to formulate questions or, as student progress, they can formulate their own questions. 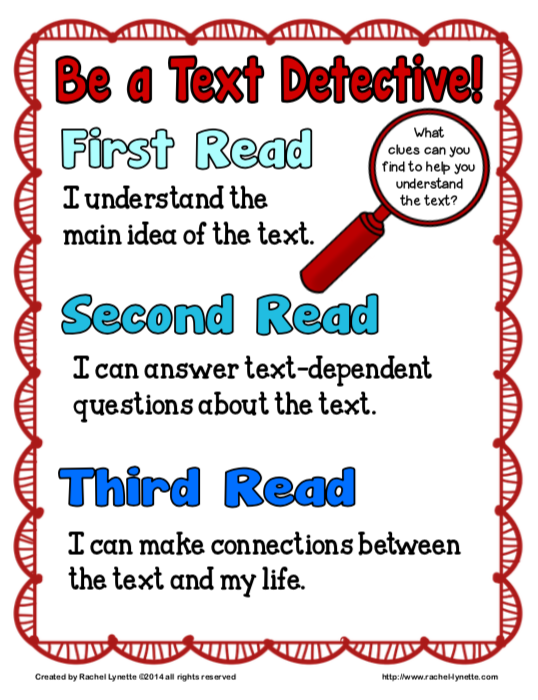 If your students aren’t ready for that or you are short on time, you could also the questions in the Close Reading Toolkit for Informational Text. 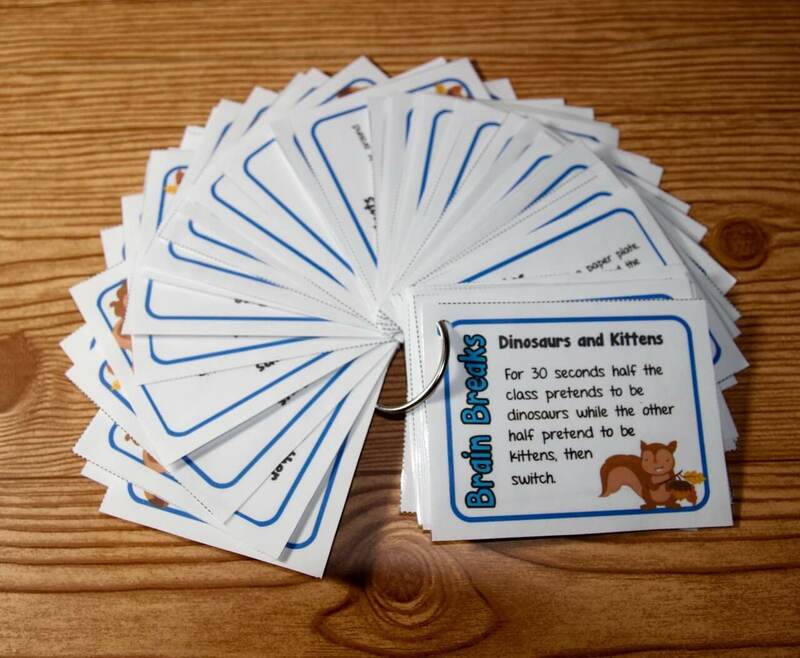 There are 20 sheets of writing prompts that you can print on Avery 8163 labels. 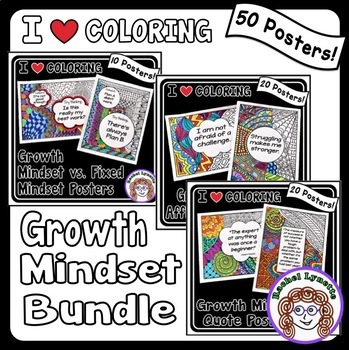 You can also print them on regular paper and have students tape or glue them to their papers. You might consider dedicating one notebook or binder section to close reading writing prompt responses. Independent Writing: While writing is generally an independent activity, you can also allow students to collaborate by discussing their responses before writing them. Allowing students to do the actual writing on their own gives them the chance to explore their own ideas and insights. 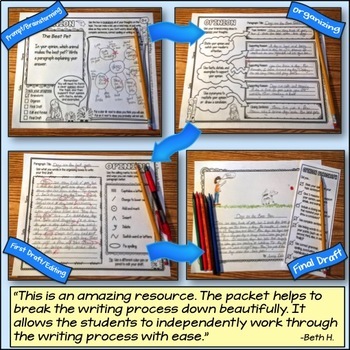 Students can also share their writing within their group or with a partner. Doing this gives them practice in reading their writing and expressing their ideas. 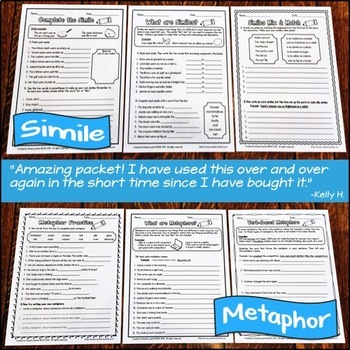 Exit Slip Assessment: Writing prompts can also be used as an exit slip for students to quickly demonstrate their knowledge at the end of the lesson. When using them as an exit slip, be sure to choose responses that require shorter answers. 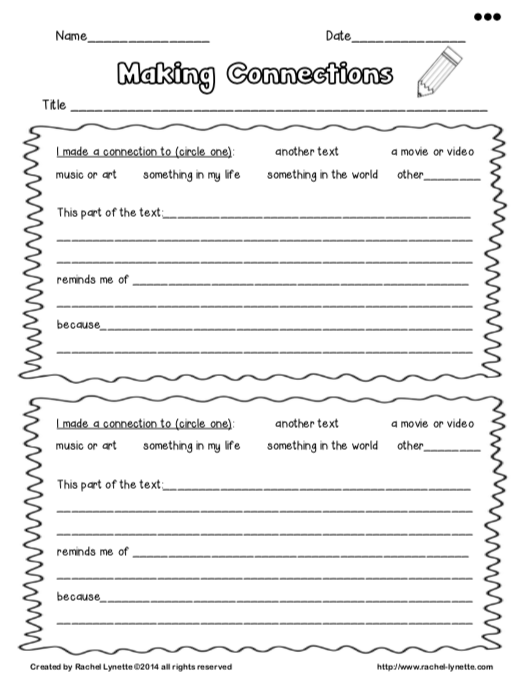 You can use this freebie independently or in addition to other resources and ideas you have for close reading. 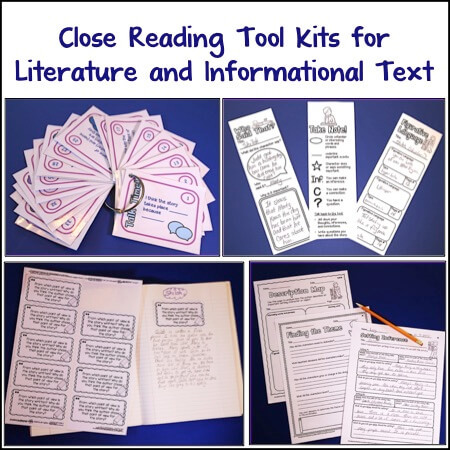 However, if you want to dive into close reading fully, a better option for you might be the full Close Reading Toolkit for Informational Text. As you move forward with close reading in your classroom, remember that not all informational text reading needs to be close reading. Students can read with no discussion questions, writing prompts, or strategy. Allow students to read informational text for fun, to build their knowledge or because it’s interesting. What are your top close reading strategies? If you haven’t tried it yet, what are you looking forward to most, or what questions do you still have? Let’s chat in the comments.